Chadwick Boseman is an up-and-coming actor with movies from a major franchise under his belt. With his upcoming Marvel flick, Black Panther being the most anticipated movie of the year, will Chadwick Boseman’s $5.0 million net worth in 2018 increase? If you’ve been waiting for Black Panther’s solo movie since Chadwick Boseman appeared as the brooding hero in Captain America: Civil War, the wait just got shorter. We got a new trailer for the upcoming Marvel flick, leaving us craving more. Chadwick Boseman’s graph went up since he portrayed the Marvel hero on the big screen. But he has since held his own in the acting industry. His net worth of $5.0 million is only increasing and will further rise with the release of Black Panther. 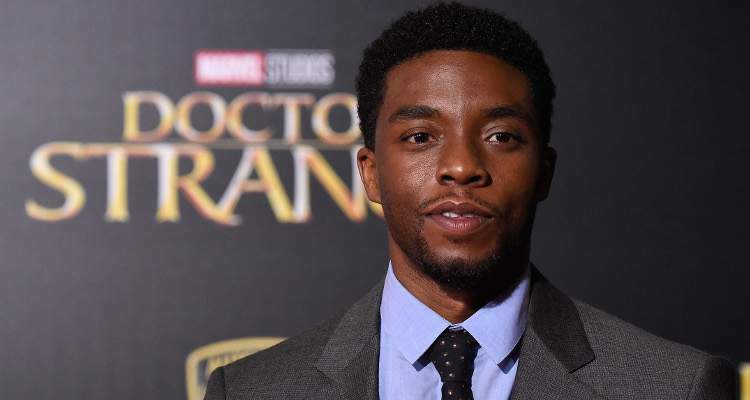 Here’s how the rising star ranks among other Marvel actors in Chadwick Boseman’s net worth. How Rich is Chadwick Boseman? The South Carolina native was born on November 29, 1977. His mother was a nurse and his father owned an upholstery business. He graduated from Howard University, Washington D.C. with a Bachelor of Fine Arts in directing. He also graduated from the British American Drama Academy in Oxford, and New York City’s Digital Film Academy. He learned acting while studying how to relate to them in order to write and direct effectively. After working as a drama instructor, he switched gears to acting in 2008. He appeared in single episodes of Law & Order, CSI:NY, and ER. 42 (2013) was his first starring role. He played Egyptian god, Thoth in Gods of Egypt. His claim to fame came when he was cast to play T’Challa / Black Panther in the MCU. He made his first appearance as Black Panther in Captain America: Civil War and is set to appear in a solo movie and upcoming Avengers movie. His portrayal of Thurgood Marshall in the 2017 biopic Marshall earned him critical acclaim, though the movie was a commercial failure. Here’s how Chadwick Boseman’s movies performed at the box office. Chadwick Boseman signed a five-movie deal with Marvel. He is the first African-American Marvel hero to get a standalone movie under Marvel’s umbrella. His casting is lauded for bringing diversity to the MCU. He’s among the new entrants of the MCU who get paid a lot less than Robert Downey Jr., Chris Evans, or Scarlett Johansson. Marvel Studios have a pay system wherein the more movies you appear in, the more your salary increases. Boseman earned around $700,000 for his first appearance in the franchise. His paycheck is slated to increase with his two upcoming movies. He is reportedly guaranteed $500,000 upfront for Black Panther and more through back-end profits. Check out how Chadwick Boseman compares to other new MCU entrants in the table below.